While it is unpleasant to admit, the energy crisis is an undeniable fact of life. We are depleting our non-renewable fossil fuels at an incredible rate. We import about 40% of our oil at exorbitant prices, and we are now faced with skyrocketing cost of natural gas. Conservation of energy is far and away the safest, cheapest and most environmentally sound way to combat the energy crisis. My house is a very well-made house and I'm sure the contractor wouldn't have forgotten to do something so important.. Right? Not necessarily. Insulation was just not a high priority before 1978. Obviously that is not the case today. If your home was built before 1978 it is most likely that the wall insulation is inadequate. Our trained personnel will be able to help you determine the need for additional insulation. The most important factor to remember in insulating the sidewalls of your home is that you normally have only 3.5″ to 4″ of space to insulate, so that you need a material that can do the most with that limited amount of space. That means you want the material with the highest resistance to heat flow, or R-value. There is no other product on the market that can rival air krete® in this area. You save more money. How does air krete® work?
. It’s the trapped air captured in those bubbles that do the job for you in stopping energy loss. Is this product different for other kinds of masonry? Yes. The method of making a lightweight “foamed cement” insulation is unique. Only air krete® dealers know how to make this exciting product, and both the process and equipment we use are protected by patent. air krete Inc . only sells their products to licensed applicators who have been thoroughly trained and are completely professional and capable of installing air krete® in your home correctly and effectively. Does it shrink or settle? air krete® does not shrink or settle due to the exclusive formulation and the inherent qualities of the product. There is no equivalent insulation available. Concrete has the unique characteristic of becoming more durable with age. Think of the Pantheon in Rome, which was build over 2,000 years ago and is still standing. Certainly, it would be fair to say that your air krete® insulation would probably last far longer than any wood in your home. But is it safe? I've heard an awful lot about different kinds of insulation causing all sorts of health problems. One of the most exciting things about air krete® is that it uses no hazardous materials of any kind. While fiberglass can give off microscopic shards of glass, and cellulose must be carefully treated to guard against fire, air krete® is inherently safe because it is made with a type of cement. It is as safe as the masonry school your child attends or the block building you may work in. Does this product have any formaldehyde in it, or give it off in any way? There is no formaldehyde in air krete® in any form whatsoever. We guarantee it. Your air krete® dealer can show the independent third-party testing to prove it. This product is essentially inorganic, like cement, like a rock, like a mined mineral. Could it cause a fire in my walls? air krete® will not burn or support combustion when exposed directly to the flame of blowtorch and exhibits fire characteristics most closely associated with concrete. There is no other insulation material which can boast of such excellent fire resistance. Will insulating my home with air krete® raise the resale value of my home? Quite likely. 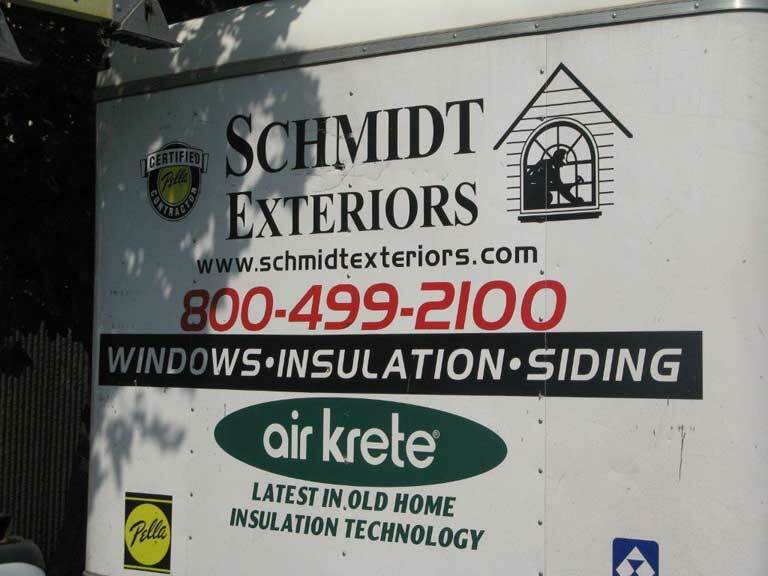 A properly insulated home with safe, effective air krete® would be a valuable benefit in the future. Lower utility bills are always an attractive feature to a buyer. Very likely, we will be able to insulate your home in just a couple of days, depending of course on the size of your home. Our professional crews are trained to treat your home with the utmost respect and care while causing you the least inconvenience possible. Is this an economic thing for us to consider doing? 1. air krete® Insulation sample was resistant to mold growth at both 75% and 95% relative humidities. Neither molds were found to amplify in the materials at either humidity. 3. air krete® seals very effectively around the edges from infiltrating air. 5. air krete® does not inflict damage to environment or man. Material is non-toxic, does not create any ozone-depleting CFC’s and does not contain any formaldehyde or carcinogenic fibers. 7. air krete® has a de-oiling effect and deters any rodents or insects. 8. air krete® is fully recyclable and can be used to enrich soil. 9. air krete® is very flexible and adaptable in its use in wall, roof and ceiling cavities in new or old construction. 10. air krete® is very cost-effective. 11. air krete® has the ability to absorb moisture without loss of insulation value. It therefore tempers and regulates indoor air humidity and enhances healthy and comfortable air quality. 12. air krete® is also a soundproofing material and used very effectively in interior sound partitions. In encasing plumbing pipes, water noises are very effectively reduced. 13. Because air krete® is Magnesium Oxide (MGO), a refractory cement it is ideal for high temperature applications. Removal of siding, drill 2 9/16″ holes, insert hose to bottom of cavity and fill. Air Quality Sciences, Inc. (AQS) is pleased to present the results of its microbial resistance evaluation of air krete’s indoor material identified as ” air krete® Insulation Sample”. AQS conducted this study using a microbial test protocol following the requirements of ASTM Guideline D 6329-98 (1). This ASTM method is established to study indoor materials for their ability to support mold growth. Testing of the indoor material was conducted using static environmental chambers operating at 75% humidity (considered a *high normal” for indoor commercial spaces) and 95% humidity (considered an extreme moisture condition within buildings). Air Krete’s indoor material was inoculated with two representative indoor molds, Stachvbotrvs chartarum and Eurotium amstelodami, and growth rates were measured over a three-week period as the materials were exposed in the two humidity environments. Mold growth is considered significant if it exceeds 20% of the initial baseline levels. Test methodology and results are given in the attached summary reports. Results show that the ” air krete® Insulation Sample” was resistant to mold growth at both 75% and 95% relative humidities. Neither molds were found to amplify in the materials at either humidity. air krete® has been endorsed by the National Park Service and is listed on their database of Environmentally Sustainable Products. Three of the four lecturers of the National Association of Home Builders Convention in Las Vegas, Nevada, January, 1992 recommended using air krete® for insulation during the “Healthy House” symposium. New York Times Newspaper January 12, 1992 Architect Paul Bierman Lytle of Environmental Outfitters uses air krete® for insulation.